I have been creating new businesses for over 20 years, bringing together the web, finance, policy, data, science, the environment, art and media. This has led to the creation of dozens of companies, the employment of 100’s of people, and £100Ms in measurable impact (including $137M in four years at the ODI). Working together, we have tackled complex challenges ranging from climate change to government transparency; digital supply-chains to open banking. My ambition is to create positive impact@web-scale on issues that require co-ordination of multidisciplinary teams across the private, public and third sectors. Harnessing the power of people and machines (‘collective intelligence’) our current Constellation projects include the internationalisation of Open Banking, and the creation of a global Open Environmental Risk Standard. If you are interested in receiving updates, please subscribe to my newsletter. Gavin helps solve complex, multidisciplinary, collective action challenges. He has co-created over a dozen organisations, building multidisciplinary teams fit for a digital age. He explores the impact of data and the web on business, society and culture to address our shared data infrastructure, policy, science, communications, innovation and skills across sectors. Gavin co-chaired the development of the Open Banking Standard and was founding CEO of the Open Data Institute. He is currently convening federated partnership programmes to help address the Sustainable Development Goals. 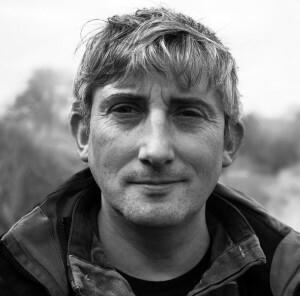 He has worked across fintech, climate change, supply-chain management, modern slavery, the circular economy, digital media, telecoms, machine learning, blockchain and the internet of things (including: as Chairman at blockchain company, Provenance.org; Non-exec at circular-economy IoT company, CupClub; Trustee at environmental charity, Blue Ventures; Chairman at Rinse Media Group; strategic advisor to governments, for-profit and non-profit companies who create global impact). Gavin was the Open Data Institute’s founding CEO, working with Sir Nigel Shadbolt and Sir Tim Berners-Lee. Under his leadership, it unlocked over $100M of direct economic impact, incubated over 50 companies, launched franchises across 20 countries, trained 6,000 people, recruited a world-class board and team, and grew its turnover to $7M/y in under three years. In 2015, at the request of HM Treasury, he co-chaired the development of the Open Banking Standard, laying the foundations for regulation and catalysing international innovation. He served on the Data, Science and Evidence advisory board of the Ministry of Justice and the Smart London Board reporting to the Mayor’s office. He has been creating businesses for over 20 years, leading projects with organisations such as Arup, Cap Gemini and the World Bank. He has been recognised as one of the most influential people in data: winning awards for his innovation and expertise, and providing Parliamentary Select Committee evidence. He is a regular international speaker on the topic of the web of data and its impact on society. His previous ventures include: organising the world’s environmental data and standards into an open web-service, AMEE, raising over $10M from leading VCs (sold 2015); chairing development of the first Gold Standard Carbon Offset; building the world’s leading digital music distributor, CI, the first company to deliver digital products to iTunes, and sent Amazon 25% of its download store at launch; creating award-winning streaming media company, Tornado, in 1999 (sold 2003); joining Branson’s Virgin Net as employee #5 in 1995 to deliver Virgin Net (now Virgin Media). 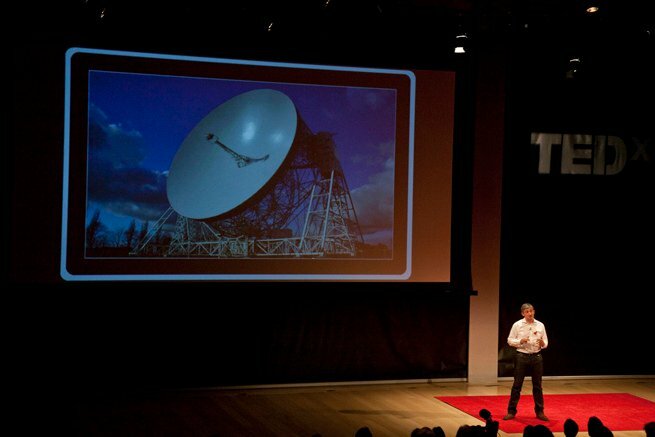 At Jodrell Bank Radio Observatory, Gavin helped develop systems designed to map and interpret the Universe. He is a Fellow of the Royal Society of Arts, created courses and lectured in Engineering and Music at Glasgow University, and has degrees in both Astronomy and in Electronic Music (on which he has published research & released an album). He converted a century-old ship to live aboard and built a cooperative historic harbour on the Thames to put it on. I present at both private meetings and public conferences. This biography may be used for such purposes. On behalf of HM Treasury, Gavin co-chaired the development of Open Banking Standard, leading banks, trade associations, startups, regulators and consumer rights organisations to lay the foundations for new regulation. He has worked with internationally with public and private sector organisations, with Ministers, C-suite leaders and startup founders. He was the founding CEO of the Open Data Institute, has sat on the GLA Smart London and the Ministry of Justice Data Science and Evidence boards and provided evidence to a Parliamentary Select Committee on ‘Big Data’. As a serial entrepreneur he has focussed on creating economic, environmental and social impact. His work has led to his recognition as one of the most influential people in data, awards for innovation and expertise, and frequent international presentations on innovation, the web of data and its impact on society. Contributor with the AmbientTV collective, the Acoustic Space Lab in Latvia, and Nesta/PAL workshops.